To be taken to the full post, simply click on any of the titles below. Cottage Bedroom With Aqua Decor Galore! What do you think? Are you aqua obsessed like me? 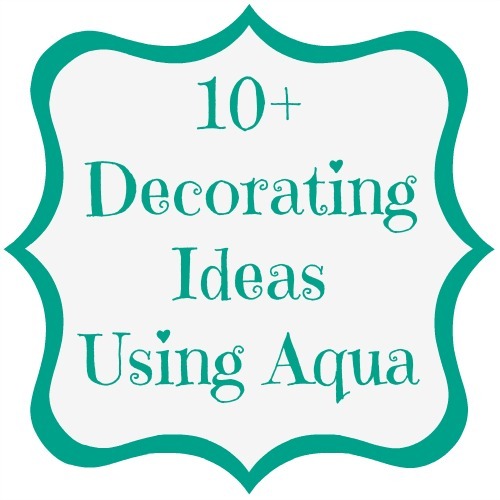 Do you have any aqua decorating ideas? « Free Printables for Spring and Some Stationary Too! 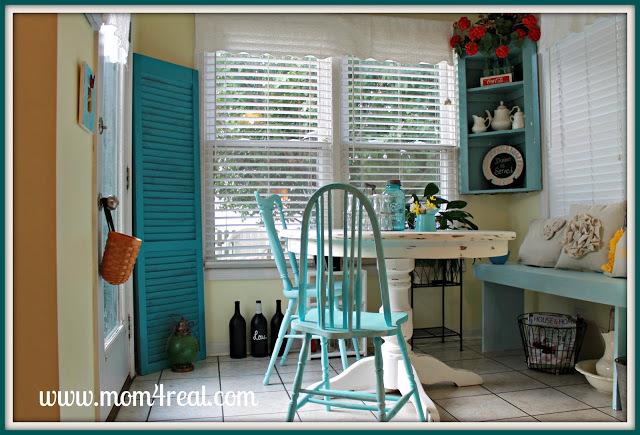 I love the breakfast nook with aqua accents! It looks so sweet and pretty. I love it too. I always blame it on my mom…she used to dress me in that color back in the 80’s. ;) You breakfast nook is beautiful! (I love the little Longaberger hanging on the door too.) Have a wonderful day. ~k. 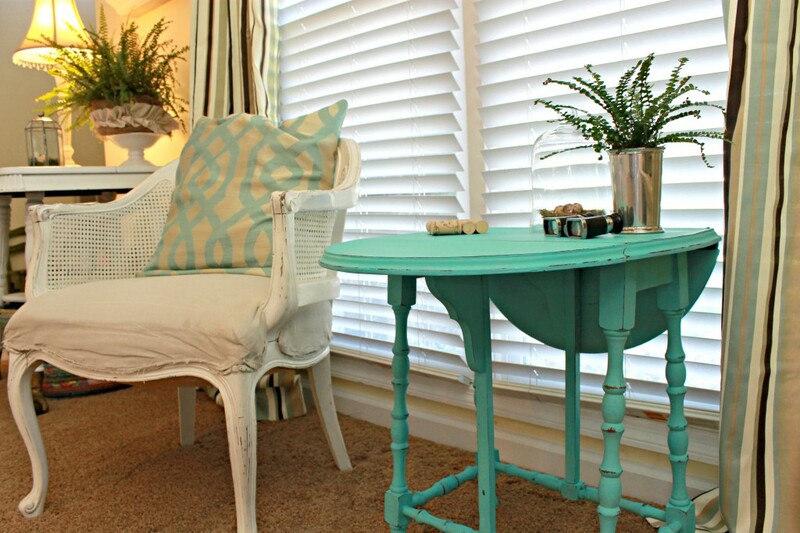 I love aqua/turquoise too and use it all over my house! Your home is just gorgeous! 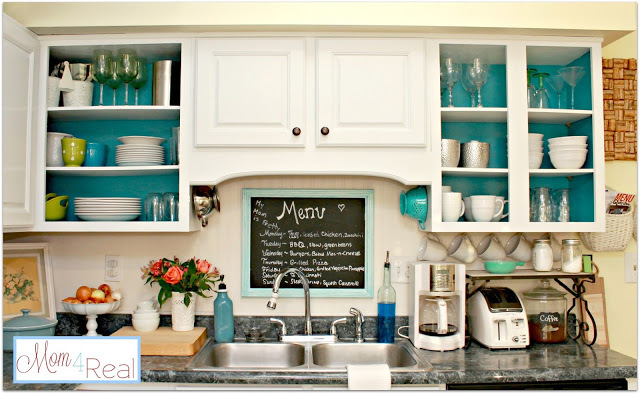 I really love the aqua on your open kitchen cabinets. You betcha – I love me some aqua! It’s a beautiful, beautiful color that plays well with so many others. 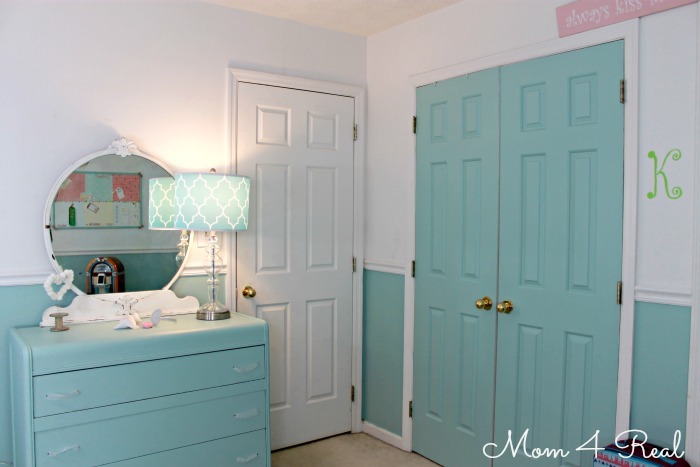 I’m right in the middle of redecorating a guest room using aqua as one of the main colors. Jessica…just love how you used aqua throughout your house…it is just such a fresh and happy color!….Your home just says “happy”! !…Have a great weekend! I’m an aquaholic too. I bought some aqua spray paint recently for a small project and I find myself spraying everything aqua. I can’t get enough!! I love all of your aqua decor, Jess!! How in the world do you decorate your house so adorable? I can’t wait to get painting! I am brainstorming how to get this awesome new color into my home decor, just not sure where it will fit. I live in Southeast Asia as a missionary and boy are the decorating options very small here. We are saving up to texture paint our downstairs soon. My daughter LOVES your girl’s room…of course she noticed teh American Girl dolls:) Keep up the great work. I pinned lots of your posts and am a follower. Oh my goodness! Thank you so much. I can’t believe you are all the way in Southeast Asia! I wish I could send you some paint now. Thanks so much for being so sweet! How old is your daughter? Mine just turned 10 this week. My daughter is nine:) I will tell her you asked. She will be thrilled! She watches me blog and wants to be my linky party assistant in a few years:0) Enjoying your blog so much! Such a lovely color to decorate with! 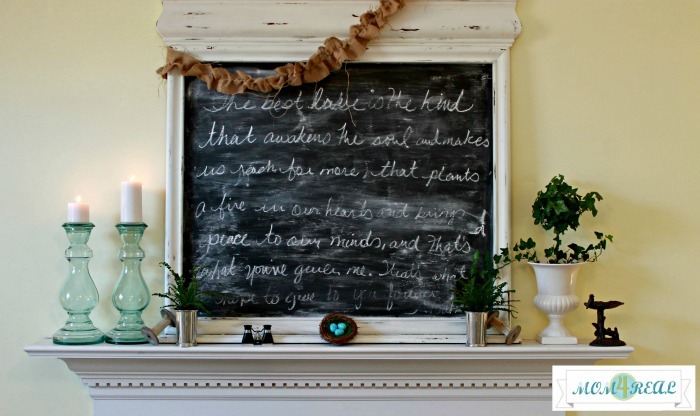 Love all the ways you incorporated it into your house. I love everything aqua…and all it’s cousins: robin’s egg blue, seafoam, sky blue….my entire home is full of hits of this color. I think it’s like the ocean, with it’s ever-changing grey-green-aqua-blue-turquoise melody. Just plain yummi-ness. 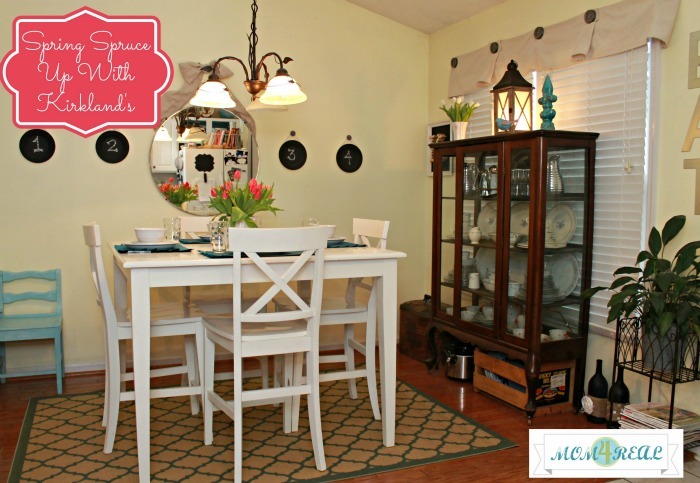 Pinned for my personal swoon-sessions…..
Hi Jessica, I love the way you have decorated your breakfast nook and dining table! It is amazing!! 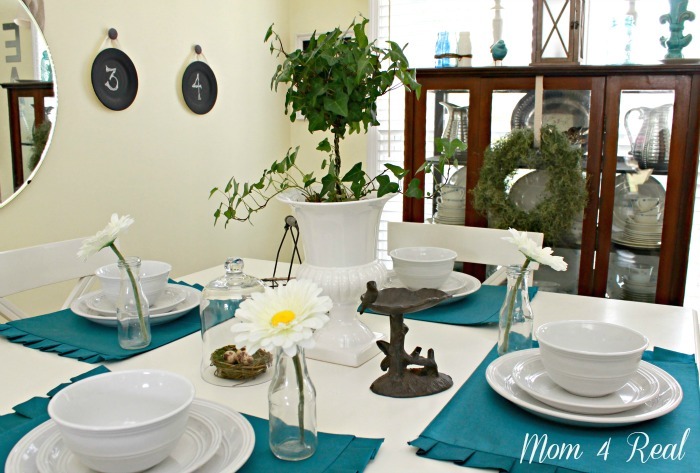 I am also decorating my dining room with white and aqua/teal (also some yellow I have to admit). Unfortunately i’m not being lucky with the sofa’s cover, I want them plain teal and I can’t seem to find them. I’m optmistic though: I have my mom hunting them for me in Italy ;) Thank you for the inspiration! Hey Jessica, I LOVE aqua too. I’ve got a chest of drawers I painted aqua and use it for storing books and videos in my living room, I also just painted a branch from my backyard and have it in an old vase in my bathroom! Love this color and that you prefer to call it aqua! And I love the glass candleholders on the mantel – can you point me to a source, please? Thanks! Hi, Barbara! Thank you so much! I bought those candlesticks at World Market…they have the prettiest things, but not too expensive! You had me at aqua! 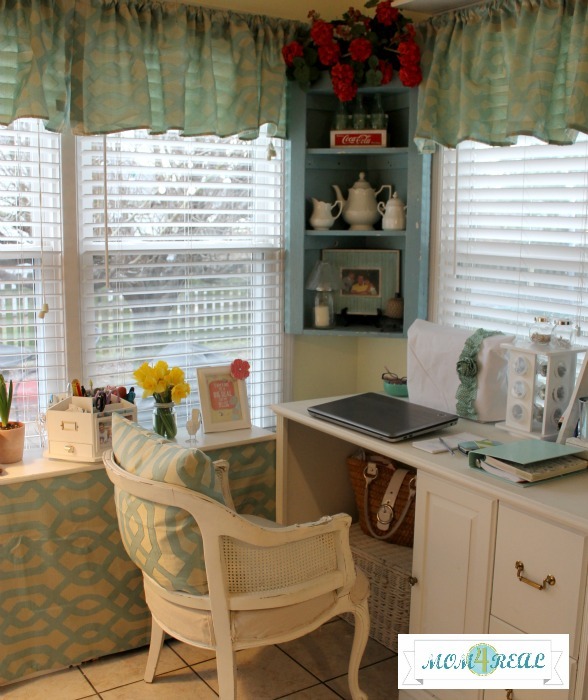 Your home is very pretty and the pops of aqua make it cohesive and interesting. 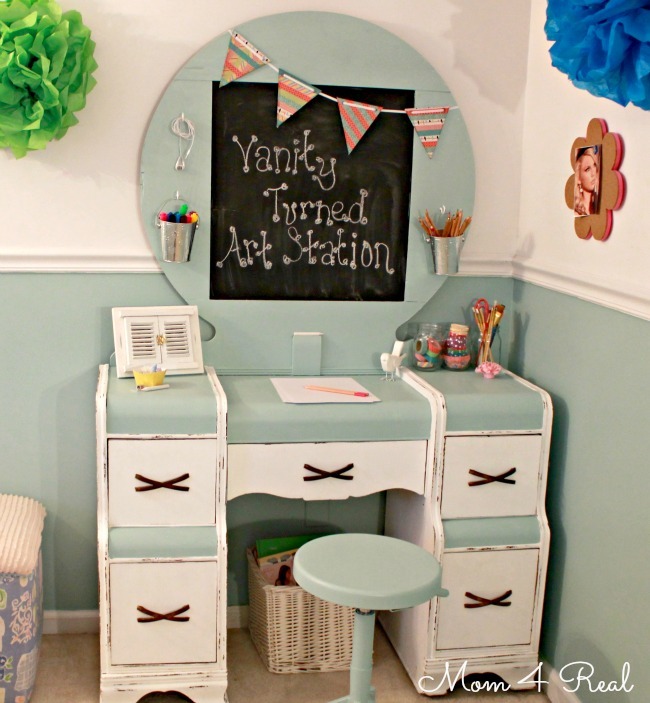 I love blues and aquas and turquoise…. and have been busy adding them to our home too. You have done it very well. I am especially inspired by the kitchen cabinets. I may have to try this in our basement guest kitchen to update the cabinets. Thanks for the inspiration.